Home Theater Solutions can help design and install the right system for our customers who do not have a whole room to dedicate to their home theater. We enjoy the opportunity to help you get the most out of your common areas without insulting the very important existing design of your living space. These projects typically involve an HD plasma or LCD TV, a top quality digital receiver and sleek, inconspicuous speakers. 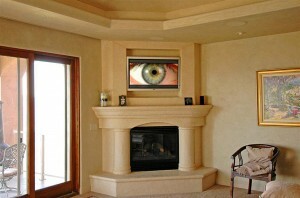 We keep our systems simple so as keep your common living area clean. We use Universal remote control systems so that we can hide your electronics out of sight in another part of your home such as a closet. Common room installations are actually some of our favorite installations. The challenges presented by spacial limitations, uncontrollable light sources, heavy traffic and heavy use allow us to really use our expertise to create the best solution for each different request. 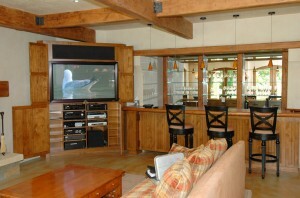 Dedicated theater rooms are relatively easy as we can control the environment. Common rooms can be so impressive when done correctly and we take pride in our ability to deliver exactly that. Browse our gallery to see some of our family room installations.